PENSACOLA, Fla. (WEAR) — A single engine airplane with two people on board crash landed at the Pensacola International Airport according to officials. The plane is reportedly a Cessna 177RG Cardinal RG. 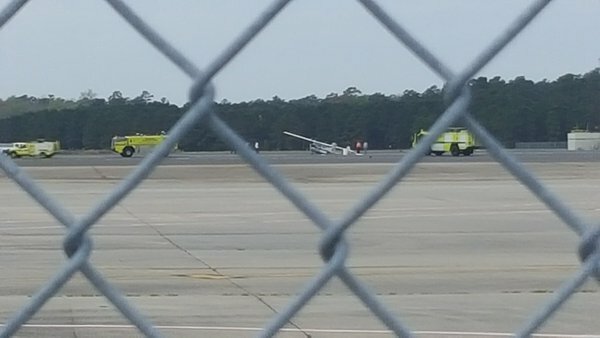 Pensacola Fire Chief Allen reports that no one was injured when the plane landed without its gear deployed but there is significant damage to the plane. Airport operations are not expected to be impacted by the crash. Kane Smith at Plum Island Airport (2B2) with an airplane he will offer clients use of in a time-share arrangement. A Newburyport man determined to expand an air shuttle business to fill what he sees as a niche market hopes to fly customers up to 500 miles and land at airports or on water. “If you could leave here and land on the East River in New York, it would save a lot of time by avoiding airports and traffic,” said Kane Smith, who is trying to expand his small company at Plum Island Airport (2B2) from one to two planes. Two years ago Smith launched The Flyers Club LLC for those who want to fly within a few hundred miles, including trips to Martha’s Vineyard, Bar Harbor and New York. Members don’t have to buy the plane or fly it, but purchasing a time-share membership can save hours and offer amenities, he said. Smith, 28, is a native of Ohio who got his pilot’s license at age 17, the youngest year the state allows. He has flown for more than a decade, and his background includes piloting numerous models of aircraft. The young aviator came east in part to take a full-time management position at Smith & Nephew, Inc., a medical-device company in Andover. But he wanted to start a business, and he has committed himself to the Flyers Club to accommodate high-end travelers. Those buying into his program would want to travel about once a month and would have to pay for the convenience. A time-share on his leased Kodiak 100 costs about $180,000, and there’s a $2,000-per-month management fee and a small per-mile charge for flights. The time-share of the airplane is seen as equity and can be sold later. 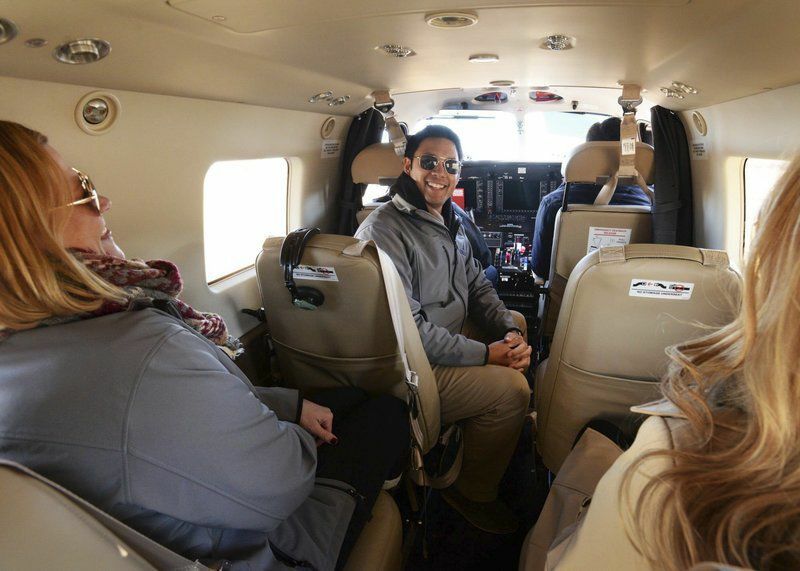 Smith, a Newburyport resident, mused that a round-trip from here to New York would cost about $200 per person, based on eight passengers and two pilots, which is the maximum load. “Regular airports are at capacity,” said Smith. “I am excited about our service, which will eventually include the capability to land on water” with a float plane. The Daily News could not reach paying clients or people taking demonstration flights for comment. 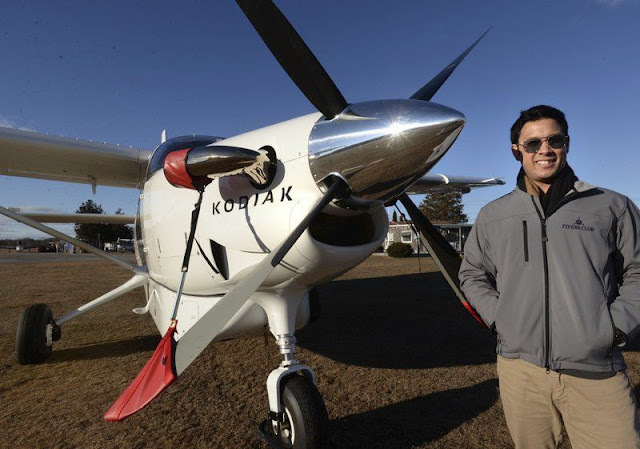 Smith flies his leased Kodiak out of Plum Island and Lawrence airfields. “We could use more business here,” said John Murray, who runs the flight school at the airport on Plum Island. “This is a good, small airfield and people seem to enjoy having our own facility. Smith said his big move this spring will be to acquire a second aircraft — one that can land on water. He has several investors who apparently believe in the rebirth of smaller airports serving niche markets. An aviation veteran who is backing the company is Paul Fayard, who runs Fayard Enterprises, of Raleigh, North Carolina. He leased the first Kodiak to Smith, and is considering a deal to make the second craft available. The NTSB did not travel to the scene of this accident. On January 28, 2017, about 1020 mountain standard time, an Ercoupe model 415-C single-engine airplane, N94694, was substantially damaged during a forced landing after a total loss of engine power during cruise flight near Butterfield, Texas. The commercial pilot, the sole occupant, was not injured. The airplane was registered to and operated by a private individual under the provisions of 14 Code of Federal Regulations Part 91 as a positioning flight. Visual meteorological conditions prevailed for the cross-country flight. The flight originated from Cavern City Air Terminal (CNM), Carlsbad, New Mexico, about 0856. The intended destination was Deming Municipal Airport (DMN), Deming, New Mexico. The pilot reported that he was positioning the airplane from Texas to California for the current owner who had recently purchased it. The airplane was topped-off with fuel (24 gallons total) before the accident flight. The pilot reported that the airplane experienced a total loss of engine power about 1 hour 24 minutes after takeoff. His corrective actions were unsuccessful in restoring engine power and a forced landing was made to a nearby dirt road. He reported that during landing roll the airplane's left wing struck a small Yucca tree, which subsequently spun the airplane 180 degrees into a berm. The airplane's left wing and twin vertical stabilizers were substantially damaged during the accident. The pilot reported that, after the accident, the header fuel tank was empty and the two wing fuel tanks contained at least 7 gallons each. The entire airplane was recovered to a secured location where a detailed examination will be conducted. EL PASO, County — A spokesperson for the Texas Department of Public Safety says troopers responded to a scene of a plane crash early Sunday morning. Texas DPS said today around 1:30 a.m., they received a report of a small plane that appeared to have crashed eight miles north of US 62/180 on Hueco Tanks Road in El Paso County. The department said that when troopers got on scene, it was determined that the plane had a minor crash while landing the day before. Authorities said the owner of the aircraft had already made proper notification to the Federal Aviation Administration. Texas DPS said no injuries were reported to the department for this incident. EL PASO COUNTY, Texas - Texas state troopers tell ABC-7 that DPS received a report of a small plane crash around 1:30 Sunday morning. The aircraft crashed approximately 8 miles north of US highway 62/180 on Hueco Tanks Road in El Paso County. When troopers arrived at the scene they were able to determine the plane had crashed while attempting to land on Saturday, January 28th, 2017. The owner of the aircraft had already made proper notification to the Federal Aviation Administration. A self-serving fueling station for general aviation tenants is now available at El Paso International Airport. Built and managed by Atlantic Aviation, the fueling station is located adjacent the T-hangars in the general aviation section of the airport. The fueling station is open 24/7 and does not require an attendant. COLUMBIA, SC -- After a record five straight years of passenger growth, Columbia Metropolitan Airport hopes to again attract a low-cost airline to the Midlands as it spends $10 million on renovations that will modify the airport's main lobby. Nearly 560,000 passengers boarded flights in 2016 on three airlines that service the airport – Delta, American Eagle and United Express – a 2.4 percent increase in passengers over 2015. Now, airport officials say they are using the airport’s rising popularity and strengthened business position as collateral in a new effort to attract a low-cost carrier to the airport, with the goal of providing direct flights to Florida. “Everybody would like to see a low-cost carrier in our market," said Dan Mann, airport executive director. "We are going to be reaching out to Allegiant (Air), Spear (Airlines) and Frontier (Airlines) in the near future – as we have in the past. But we have a new case to make, I think, with the population growth and the success we’ve had. The absence of a low-cost carrier and direct service to Florida is a "hole" in the airport's otherwise strong air service to the East Coast, Mann said. The existing airport lobby, completed in 1995 to much acclaim, has become a signature feature of the airport. Renovation plans call for the removal of the large directional poles in the lobby that bear banners used to guide passengers. A half dozen large permanent planters in the lobby will also will be replaced with greenery in mobile planter stations. The main feature in the new airport lobby will be a large circular information desk in the middle of the space, Mann said. USO personnel will staff the desk answering phones, helping guide soldiers to the airport USO office and providing direction to passengers, he said. Those changes are to be completed by this summer, Mann said. A good economy and a growing local population are at the root of the new success, Mann said. The airport’s single-year record growth came in 2005, when Independence Air, the now-defunct carrier, operated at CAE for about 18 months. However, the airport’s decades-long struggle for growth has produced a mixed history of attracting, but failing to hold, low-cost airline carriers to Columbia, including Air South, which was headquartered in Columbia and served routes mostly in the Southeast from 1994 to 1997 before bailing out. In 2010, Southwest Airlines rejected an incentives package from Columbia to start service at CAE. Times have changed, Mann contends. Columbia is more competitive with other airports in the region now – which the record appears to reflect. Larger planes now service the Columbia airport, and the price of flying out of Columbia is down, Mann noted. In 2016, airline seat capacity at the airport grew by 5 percent over 2015. Since 2012, average airfares at the Columbia airport have fallen 11 percent, airport statistics show. In that same period, the number of passengers boarding planes at CAE has grown by 12 percent. Significantly, a September 2016 “leakeage” study showed the Columbia airport has recaptured 9 percent of the customers it lost to other airports – most specifically, to Charlotte, Mann said. A similar 2012 leakage study showed Columbia loses less than 3 percent of its area bookings to airports in Charleston or Greenville/Spartanburg, Mann said. The Columbia airport currently captures 53 percent of the bookings in its primary area, losing 36 percent of the area’s bookings to Charlotte, the 2016 aviation study shows. In 2012, the Columbia airport captured just 44 percent of the airport’s primary area bookings, losing 49 percent of the bookings to Charlotte, the sixth largest airport in the country. The three predominant reasons flyers drive to neighboring airports to board planes comes down to the availability of larger aircraft, greater reliabililty and cheaper fares, Mann said, though cheaper fares are key. Wessinger, who has been in the travel business 20 years and also managed an airport car rental office, cited the recent booking of a flight from Columbia to Los Angeles. The fare for the same flight from Charlotte to Los Angeles was only $26 less. “But the flights (from Columbia) are better and $26 is not enough of a savings to make the drive (to Charlotte),” she noted. The airport, which does about $20 million a year in operations and capital projects such as parking, rentals, landing fees and other federally-approved revenue, functions under a commission as a special purpose district. It has gotten its financial house more “in line,” Mann said, charging airlines lower fees to operate. So, “When we ask them for more capacity or better fares, they are more willing to talk to us,” said Mann, who is looking to hire a staffer with experience in dealing with low-cost carriers. Non-stop flights originate from the Columbia airport to nine destinations including Philadelphia, Washington, D.C., New York, Chicago, Houston, Dallas, Atlanta and Charlotte. Delta scoops up about 43 percent of passengers and American about 40. The main driver for getting and keeping customers, however, is low fares, said Mann, who is approaching his seven-year anniversary at the airport’s helm. Airport officials are “working very hard” to address the Florida issue in 2017, Mann said. Columbia is a college town with a built-in clientele for flights to Florida, he noted. Business and government travel combine with Fort Jackson to also comprise major components of CAE’s customer base. Wessinger, the travel agent, has even greater hopes for CAE. The Columbia airport’s domestic schedule makes it as vital an entity to the Midlands as any other in the continental USA, Wessinger said, “but it would be an asset if it was international.” Also, more competitive (low-cost) airlines such as Southwest would be a plus, she said. Next year, the airport is expected to take on another $10 million renovation project, involving taxiway and additional terminal improvements, Mann said. Overall, the health of the Columbia airport is great, Mann said. Approximately 1,800 employees work in businesses located at the Columbia airport complex – 65 work directly for the airport – creating about $80 million a year in direct payroll, Mann said. Customers, not government, pay the cost of operations and the customer base is growing, he said. The cost per airport customer is below $10 and debt is down. Airline contracts are under negotiation, Mann said, and the airlines now are willing to enter five-year contracts with the airport. 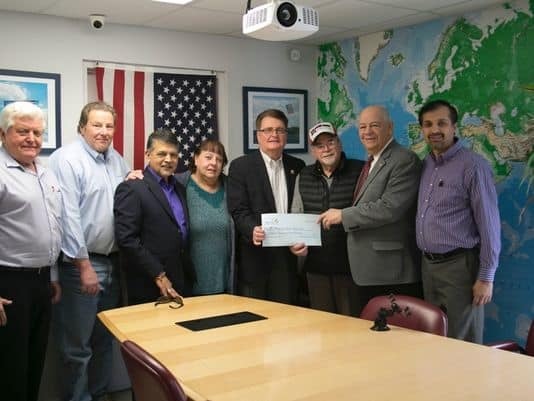 From left: Rotarians Joe Horner, John Shockley, Tulsi Maharjan and Jodi DiPane-Saleem, Welcome Home Vets of New Jersey representatives Gene Elwood, Norus Achmetov and Val DiGiacinto, and TriState President Farzan Saleem. TriState Aviation, the FBO/Flight School located at Central Jersey Regional Airport, is no stranger to providing services to the community. They consistently donate flights to various charities in the area to assist with nonprofit fundraising activities and offer field trip services to both child and adult day care centers, schools and local scouting programs. Gift certificates for scenic flights have been provided to benefit Rotary Clubs, local schools, churches, youth groups and recreational organizations and high school organizations. In addition to providing gift certificates, TriState Aviation also organizes some fundraising activities throughout the year in order to raise money for worthy nonprofit charities. The Veterans Appreciation Day and Santa Fly-In, both hosted at the airport, are two main fundraisers TriState has hosted along with several Rotary Clubs in the area from District 7510. Branchburg, Dunellen/Green Brook, Hillsborough, Old Bridge/Sayreville, Piscataway and Somerville/Bridgewater Rotary Clubs have participated with one or both of these events to assure they run as smoothly as possible. All the work TriState does throughout the year leads to a big payoff for an entity in dire need of support. “When we host the Santa Fly-In, the parents are informed that all proceeds will be donated to a local charity," DiPane-Saleem said. "They question where the money is going and want to know how their donation is being appropriated. When people attend our Veterans Appreciation Day, they know funds are going to support our military, but they don’t know exactly what organization will benefit from that event. TriState is proud that they’ve been able to generate money for Welcome Home Vets of NJ, which is the nonprofit organization selected to benefit from donations totaling $8,100. Welcome Home Vets of New Jersey provides immediate and long-term assistance through their organization and their partners to assist soldiers, veterans and their families in need of housing, financial, employment and emotional support. The testimonials of the work they perform is heart-wrenching. They offer services for circumstances that’s out of the realm of support the VA can provide. Welcome Home Vets of NJ has dozens of heart-wrenching stories that truly represent the type of work this organization provides for our servicemen. At age 90, Thomas was bedridden and suffering with end-stage renal failure. He was receiving 24/7 care at the apartment he had occupied from the early 1970s. His wife had passed away in the mid-1990s. Thomas had exhausted his savings and his monthly income was insufficient to cover his rent, utilities, food and homecare. As a result, the landlord processed and eviction. His singular wish was to live out his remaining time in his “cherished” apartment, filled with his memories. Welcome Home Vets of New Jersey provided financial and legal assistance as well as court representation. Eviction proceedings were halted and the landlord was fully compensated. Thomas peacefully passed away on Feb. 2, 2015 in the home Welcome Home Vets helped him to maintain the last few months of his life. “I think it’s important to treat our military with dignity and show them the respect they deserve for the service they provided,” DiPane-Saleem said, as she reflected on this organizations commitment to help our military personnel. “Until I hooked up with Welcome Home Vets, I had no idea there were so many servicemen in need of support outside of what the VA provides. When we were considering an organization that my husband and I thought could use additional funding, I never expected to come across Welcome Home Vets of NJ, but a click on the web opened my eyes to an organization that really embodies giving and helping in a community. Welcome Home Vets NJ was represented by Gene Elwood, Val DiGiacinto and Norus Achmetov for the presentation of the donation they were receiving. When told the total dollar amount of the contributions, the reaction was priceless. “We’re really looking forward to 2017 as well. Now that we’ve established ourselves as a community oriented business, we’re hoping to receive more support from the public to keep these contributions growing,” said DiPane-Saleem, who is planning the next venture to be held at the airport. “Keep May 20 marked on your calendar! We’re already planning for a military support event to coincide with New York’s Fleet Week. We just processed applications with the Air Force and Navy for some large military planes to perform fly-bys and a number of aircraft to be placed on our field for an incredible static display of helicopters. 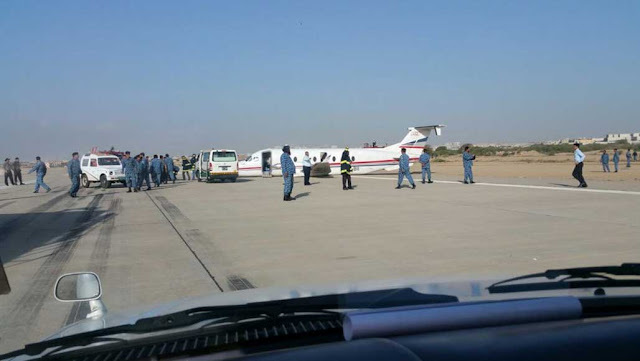 KARACHI: A pilot who was involved in the crash of a small aeroplane at Karachi airport last year has been recruited by the Pakistan International Airlines (PIA) to fly bigger aircraft, according to sources. The airline has acquired the pilot’s services even though the inquiry launched to determine the cause of the crash is still under way. The sources described the PIA management’s decision to recruit a pilot with an “imperfect” record as a “brave” one, particularly after an ATR aircraft of the airline crashed near Havelian not too long ago. All those aboard that aircraft had died in the crash. According to the sources, the role of the Safety Investigation Board (SIB), which allowed the pilot to resume flying after undergoing some training, is also questionable. The SIB’s job is to find the cause and fix responsibility for any crash or accident. The regulator of the aviation sector, the Civil Aviation Authority (CAA), simply allowed the influential pilot to resume flying after it received a clearance letter from the SIB, said the sources. In response to Dawn’s queries, PIA’s spokesperson Danyal Gilani confirmed that the pilot had been recruited on contract. However, the spokesperson for the CAA, despite repeated requests, did not respond. The sources said that Muzammil Hussain Khan (ATPL No 1188), with 21 officials of the Pakistan Petroleum Ltd aboard a small chartered aircraft — a Beechcraft 1900 — took off from the Jinnah International Airport, Karachi, on March 18 last year. When the aircraft was only about 200 feet in the air, it fell to the ground, on the airport premises. Luckily, there was no fatality. Most of those aboard suffered minor injuries, but some of them, including the pilot, were injured seriously. The sources said the CAA immediately ordered an inquiry into the crash, which is still being conducted by the SIB. So the reason of the crash has not yet been determined. The sources said the SIB, however, allowed the crew to resume flying after some training. Nine days after getting the SIB letter, CAA’s additional director Capt Khalid Mehmood wrote a letter to the ASSL, saying the captain, first officer and crew of the small aircraft could resume flight operations, after attending some training sessions. With the two letters in his pocket, Mr Khan applied to the PIA which hired him to operate an ATR aircraft and sent him abroad for training. The sources said that even before the crash landing at the Karachi airport, Mr Khan’s record as a pilot was far from perfect. Citing an example, they said that after one of the tests taken by the pilot, the examiner had proposed 100 hours of monitored flying, besides improvements in other training segments. The election of Donald Trump to the White House could give the private jet industry a helpful bit of thrust this year. The so-called 'Trump Bump' has made industry executives more upbeat about the outlook, with 80pc saying the US president will have a positive impact on their aviation businesses, according to a survey by Corporate Jet Investor. Mid to heavy jets are expected to be the best sellers in 2017, as a stronger global economy and new technology and innovation within the aircraft industry also fuel growth in the sector. The UK will be a key market for private jet exports. Over the next eight years, 146 heavy private jets are expected to be delivered to UK clients, worth as much as £5.7bn, according to figures from Global Jet Capital, a business aviation finance company. This is more than any other European country by a wide margin. Alasdair Whyte, editor of Corporate Jet Investor, said: “Donald Trump is the first President of the United States to own business jets before becoming elected. He may split opinions, but our research shows the majority of people in the industry think this will have a positive impact on market growth and there have been increased enquiries from aircraft buyers since the election, particularly for pre-owned aircraft. “There are a lot of exciting developments going on to make business aviation more affordable and more accessible, allowing clients to charter aircraft more easily." A record number of people traveled to and from the Helena Regional Airport in 2016. More than 103,000 people made their way through security and onto flights last year, while a little more than 102,000 departing from the airport. Together, arrivals and departures totaled 205,733, which eclipsed the 2011 record of 204,205, according to data compiled by Jeff Wadekamper, the airport's director. The 2016 arrivals and departures also surpassed those from the previous year, when 199,376 travelers were tallied. And the number of travelers last year reflects a 22 percent increase over 2007. Contributing to the 2016 increase is that Delta Air Lines is replacing its 50-seat regional jet aircraft with those capable of ferrying 65 and 76 passengers to meet peak demands, Wadekamper stated in a news release. 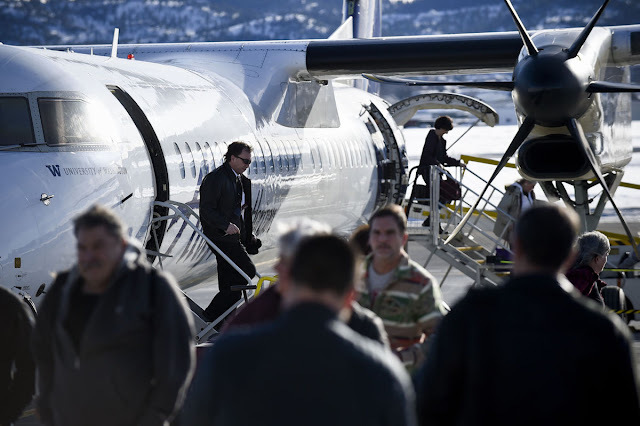 The move to larger aircraft expanded Delta Air Lines' seat capacity by 8.4 percent on its Helena service to Salt Lake City that fills, on average, 86 percent of the seats. Delta Air Lines also provides service between Helena and Minneapolis and has used larger aircraft when demand for seats was greatest, Wadekamper noted. United Airlines service from Helena to Denver, which began in 2008, also saw a 4.8 percent increase in travelers on those flights that typically had 89 percent of their seats filled. United Airlines is also planning to switch from the 50-seat jets to those with a 76-seat capacity in a year or two, Wadekamper said. And Alaska Airlines, which has reduced service between Seattle and Helena to only a single daily flight through most of 2016, saw 2.4 percent more seats filled compared to 2015, according to the airport director’s data. Demand for seats filed 70 percent on average for the year. Alaska Airlines also has plans to switch from the turboprop aircraft, with a 76-seat capacity, to jets of the same size in a couple of years, he added. The record-setting 2016 number of passengers and plans for airlines to serve Helena with larger jets give added reason for the airport to move ahead with expanding the passenger waiting area and food services on the terminal’s second floor. Each morning, three flights leave from Helena with the Minneapolis-bound Delta Air Lines’ flight departing as early as 5:20 a.m. and its Salt Lake City flight set for 6:20 a.m. The United Airlines’ service to Denver is scheduled to leave at 7:10 a.m.
“First thing in the morning, it’s pretty much a packed house right now,” Wadekamper said. Not everyone who’s waiting for a flight has a place to sit, but the airport authority is moving ahead with an expansion that will begin this year on paper. After architects and engineers design the airport terminal’s expansion, construction won’t happen until 2018, according to the timetable offered by Wadekamper. The roughly $3 million project -- Wadekamper calls that a rough estimate -- is expected to take a year and will be done in phases to keep the airport open during construction. An additional 1,250 square feet would be added to the terminal’s first floor while an estimated 2,950 square feet would be added to the building’s second floor. A ground-floor boarding area would be retained for current and future use. 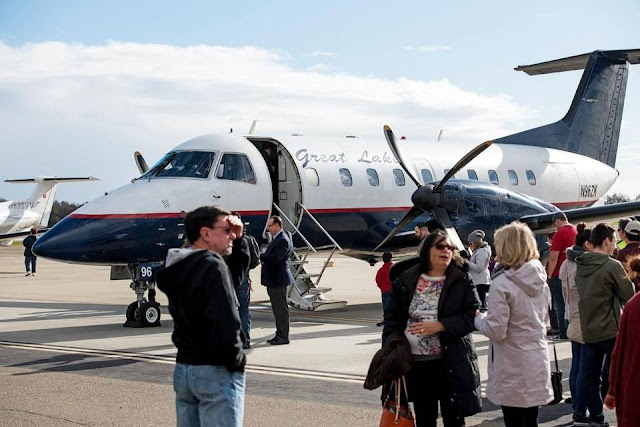 The ground-floor boarding, which serves the 76-seat Alaska turboprop aircraft, was designed for 40 passengers. Spending between $6 million to $8 million for this phase of the airport’s master plan and a second phase of it might be too much at this time, Wadekamper said. “So it’s a careful balance between capacity and demand,” he added. Funding for the project is anticipated to come primarily from federal funds the airport receives annually through the Airport Improvement Program. While this is expected to cover 90 percent of the project cost, a nationwide fee added on to airline tickets will pay for maybe 8 percent of the project. The $4.50 passenger facility charge on each airline ticket applies to each of the first three segments of a traveler’s flight, if there are multiple stops before reaching a final destination. Helena Regional Airport collects about $390,000 annually through this charge, Wadekamper said in October. The remaining roughly 2 percent of the project’s cost is expected to come from the airport. Federal funds won’t cover improvements such as those for the airport’s restaurant, Wadekamper said. The airport operates without any local taxes or mill levies, Wadekamper said, explaining that its revenue is divided roughly into thirds and funded by airlines, other aviation-related activities such as corporate air services and general aviation, and leasing parts of its 1,400 acres to several entities, including Boeing Co., Costco and Lee Enterprises. Also contributing to the upcoming project could be the airlines that might want to upgrade customer services, Wadekamper noted. Further driving the need for more passenger waiting areas is an anticipated move by Alaska Airlines to switch from turboprop to jet aircraft. With this change, Alaska Airlines would move its passenger boarding area from the airport terminal’s ground floor, where people walk outside to board flights, to the second floor where the other airlines’ passengers are already crowded as they wait for their flights, Wadekamper has said. In addition to providing more room on the terminal’s second floor for waiting passengers, the airport will need to install another “jet bridge” -- this is the enclosed walkway that links the terminal to arriving and departing flights -- to accommodate Alaska Airlines and perhaps another flight. The two jet bridges currently serve the three daily Delta Air Lines and United Airlines flights. The expansion, while meeting current needs, will be even more critical if the airport is successful in its bid to add new air service. The airport authority was unsuccessful this year in obtaining funds through the U.S. Department of Transportation’s Small Community Air Service Development Program to use in enticing Alaska Airlines to restore its second flight to Seattle. The federal grant and local funds would have helped guarantee the Alaska Airlines wouldn’t lose money if it didn’t sell enough seats on a second Seattle flight serving Helena. Communities that proposed new routes were favored in the latest round of funding by the Small Community Air Service Development Program, Wadekamper said in August. Since failing to receive the $500,000 Small Community Air Service Development Program grant, airport officials began looking at how to modify an application to make it more competitive. Seeking an Alaska Airlines route to Portland, Oregon, which has become the second most popular destination for Helena travelers, with service to Seattle is seen as creating a more competitive grant application, Wadekamper noted previously. A local fundraising effort is underway to raise $100,000 by March 1 to use in its application for a $500,000 federal air service grant. The airport authority anticipates hearing in mid-summer if the application is successful, which would allow it to begin discussions with Alaska Airlines for service to Portland, Oregon. Plans for the grant and moving ahead with an expansion of the terminal building come after a year of infrastructure improvements that include a $989,000 reconstruction of a taxiway that links facilities on the airport’s north side with the runway. DUE TO ENGINE DIFFICULTIES AIRCRAFT EXECUTED A PRECAUTIONARY LANDING AT MILES GRANT GOLF COURSE. 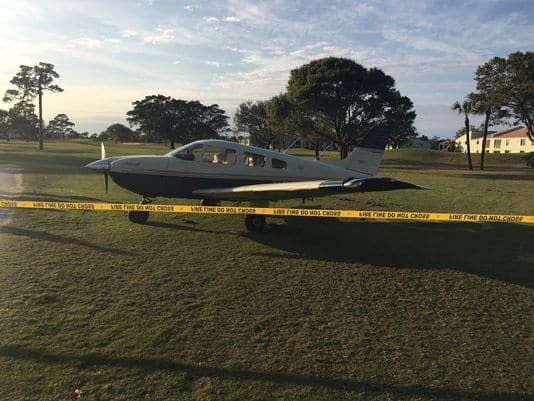 STUART — A small airplane made an emergency landing Saturday afternoon on a golf course in Stuart, Martin County Sheriff's Office officials said. 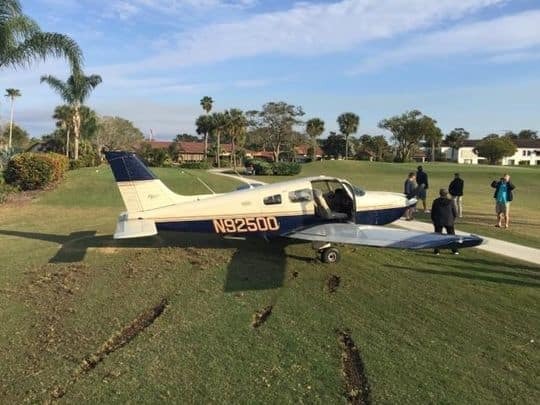 Deputies got a call at 4:07 p.m. for the landing involving a single-engine plane at the Miles Grant Country Club in the 5100 block of Southeast Miles Grant Road, sheriff's spokeswoman Christine Christofek said. Witness Ted Pasternack, 69, said he and his neighbors heard a loud bang, went outside and saw the plane headed directly toward the clubhouse. He saw the plane make a slight right turn and skid on the grass on the 10th hole near the clubhouse, right in front of the tee-off area. "(The engine) must've backfired," he said. Christofek said there was no damage to the plane. Nearly a half-dozen neighbors went to the scene after the plane landed, Pasternack said. No golfers were on the hole at the time, he said. He said about two or three men were on the plane and all exited the plane when he got there. Pasternack, who has lived on Miles Grant Road near the 14th fairway for four years, said he talked to the pilot and that he seemed quiet, somber and controlled. "I think he did a great job of landing and saving everyone's lives. It could've been worse," Pasternack said. No injuries were reported and it's unknown where the plane was coming from or going to, Christofek said. Pat Tully, general manager for the country club, was inside the clubhouse with his staff preparing dinner for their residents when the incident happened. He didn't witness the landing, but said the plane was still sitting on the golf course in front of the dining room about 7 p.m.
"He did everything correctly and made a safe landing. It's amazing," Tully said. "I think our golfers do more damage on the golf course then he did." Martin County Fire Rescue and the Federal Aviation Administration also were at the scene. The cause of the incident is under investigation by the FAA, Christofek said. The plant just announced layoffs. It’s time to think about a new career path, and there might be a few dollars available for retraining. Meanwhile, Great Lakes Airlines is considering Modesto to be among the places to offer commercial passenger service with its 30-seat turbo prop planes. It just needs a few good pilots to fly them – 10 or so to make it pencil out. No problem. Just enroll in a flight school, get your pilot’s license, train alongside an experienced pilot and you’ll be shuttling people from Modesto to Los Angeles in no time, right? After all, for roughly $1,500 you can be trained and licensed to drive a semi-rig down Highway 99 by logging 160 hours in just four to eight weeks. Certainly, aviation requires greater and more extensive training, but learning to fly commercial aircraft is doable, right? Not unless you’ve got gobs of money, lots of time on your hands, and don’t mind being paid on par with a pizza maker as a co-pilot after you’ve spent all that money (hundreds of thousands of dollars) and time (1,500 hours) to get the job. 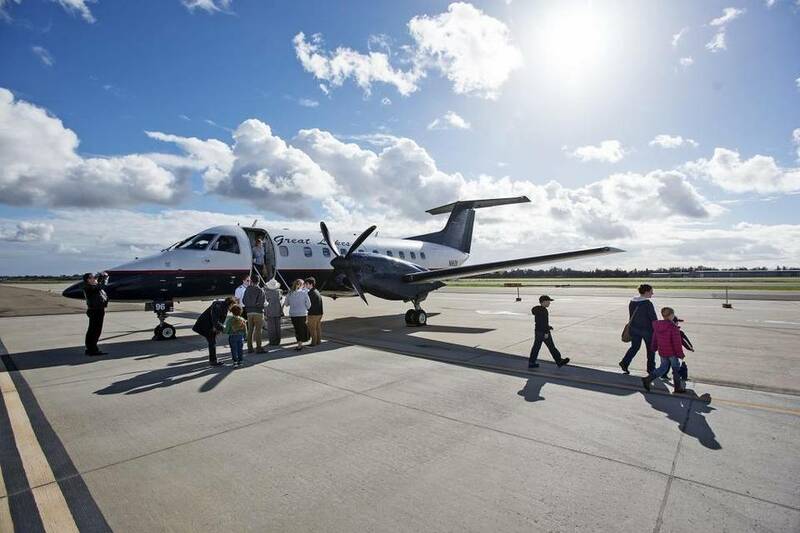 When The Bee’s Kevin Valine first began reporting that Modesto is among the three cities being considered for expansion by the small regional airline, the BYOP (bring your own pilots) element seemed pretty hokey. But the lack of pilots who meet the Federal Aviation Administration’s qualifications is very real and problematic for small regional airlines trying to link small markets to the bigger ones. Why the shortage? Several reasons, but none with more impact on the industry than an FAA ruling in 2013 that changed everything. It stemmed from a 2009 crash near Buffalo, N.Y., that killed 49 people, and was blamed on pilot/co-pilot fatigue and error. The FAA responded by demanding co-pilots log 1,500 hours of total pilot time (including instructional), up from 250 hours. Then they must fly 1,000 more hours before they can become captains who, in 2009, averaged $67,000 in earnings for the smaller airlines. The co-pilot in that case made only $23,900 flying 75 hours a month, according to The New York Times. The new rules triggered a dramatic turnaround from a few decades ago, when a would-be pilot couldn’t hire on with the airlines for a different reason. Military pilots are among the exceptions within the new rules, allowing them to co-pilot with 750 hours of flying time. But, Modesto Airport Manager Mark Germanowki said, the military is focused on retaining many of its pilots, thus keeping them in the service instead of having them available to commercial carriers. “We’re not seeing them flooding the markets,” he said. Three or four decades ago, the smaller carriers didn’t have to compete against shippers including FedEx, UPS and DHL for pilots, as they do now. And when the smaller carriers’ pilots build up their hours, the large commercial airlines can pay better and lure them away. “It’s created a huge pilot shortage,” Zosclocki said. When Great Lakes executives visited Modesto last week, they met with a dozen pilots, Germanowski said. But out of the 12, only three will be interviewed. The rest fall short in one or more areas. Modesto hasn’t had passenger service since 2014. Dave White, executive director of Opportunity Stanislaus, found himself not in the usual position of finding retraining opportunities for displaced workers but instead looking for certified commercial pilots who live in the area. They don’t all have to come from Modesto, White said, but will need to be found within California. Long term, it will take more rules revisions or perhaps training subsidies to develop a deeper pool of up-and-coming pilots who can train alongside the veterans and eventually take their places as captains. Without a military background, the financial incentive to become a commercial passenger plane pilot just isn’t there. “We’re talking hundreds of thousands of dollars of training at this point,” Zoslocki said. Those kinds of training dollars aren’t available. Ultimately, the new pilot program involves finding older pilots. GREENSBORO — The imposing Caterpillar dump truck could have flattened Kevin Baker’s small Dodge sport utility vehicle with hardly a bump for the truck’s driver. But Baker, the executive director of Piedmont Triad International Airport, knows how to thread these acres like the proud owner of a new homesite. And he slipped quickly past the towering truck on the muddy road. PTI, which hosted North Carolina’s first passenger service as Lindley Field in 1930, has become a midsize airport, with 847,000 passengers in 2016 and 146.3 million pounds of cargo. But this land is the airport’s future. Baker was driving through a network of roads on what is becoming a unique economic development site in the state, if not the nation: about 1,000 undeveloped acres with direct access to a thriving commercial and passenger airport’s runways. 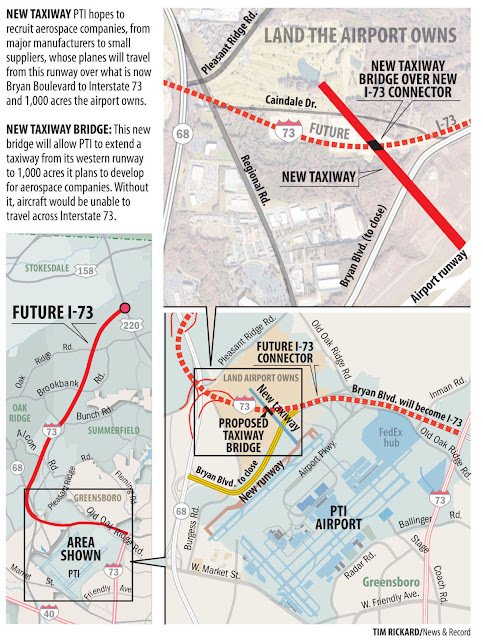 The N.C. Department of Transportation is putting the final touches on a bridge that will cross the new Interstate 73 and connect the airport’s western runway to this land. And companies that use that land will be members of an exclusive group in the Triad — only companies that need direct access to a runway. Baker reaches a muddy hill that overlooks the bridge, nothing but a sturdy concrete square at the moment that crosses the rough dirt lanes of this highway. Hills at either end of the bridge will be plowed down as the airport builds its 2,000-foot taxiway, likely when a major company comes to the development site. Baker said he hopes the hill on which he has parked will be graded soon for a major aerospace employer. This 280-foot bridge across the roadbed is capable of handling a jumbo jet as cars pass below through more than 200 feet of concrete box construction. The airport had known for years that the state DOT was planning to build a section of I-73 north through Guilford County, connecting on the west of the airport with N.C. 68 and eventually heading through Rockingham County, to the north. Once builders eliminate the segment of Bryan Boulevard to the west of the airport, only one road will separate the western runway from the new development land — I-73. The I-73 segment near the airport is expected to be opened later this year. With that plan in mind, the airport bought hundreds of acres, including a golf course, for future development. But it couldn’t build a taxiway from its runways to that land until the DOT built a new road — and a bridge that is large and flat enough to hold airliners rolling across that four-lane road. So three years ago Baker and members of the Piedmont Triad Airport Authority board of directors persuaded the DOT to begin building the bridge early to match the road schedule. Airport officials have been busy since construction began in 2014, planning the future of its land. The airport authority also has gone through the tedious work of finishing an environmental impact statement required by the Federal Aviation Administration before the first prospect can look at developing the land. And to anticipate every possibility from small employers to a major aircraft manufacturer with thousands of workers, the authority has drawn up 75 potential development plans. That’s right — 75. Getting the environmental impact study and the bridge out of the way now before the interstate is finished makes the property available far sooner than it would have been if airport officials had waited. “If you wait until a project comes along, you’ve just added two years. If you’ve got to design and build a taxiway, you’re adding years,” he said. 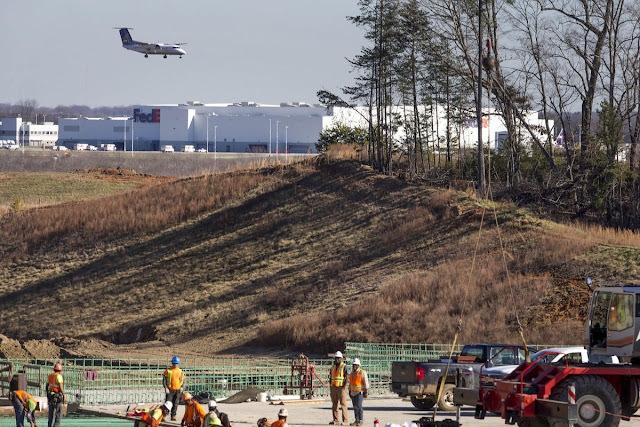 “I don’t know that there’s another fully functional airport that has a similar piece of property ready for development,” said Brent Christensen, the president and chief executive officer of the Greensboro Chamber of Commerce, the city’s chief economic recruitment group. Baker said the companies most appropriate for the airport land will fall into three primary categories: Those that repair and overhaul airplanes, those that build airplanes and those that make major components for aircraft. PTI already has two major aerospace companies that have expanded rapidly and, Baker said, airport officials want to be sure they have plenty of room because space is getting tight on the airport’s east side. 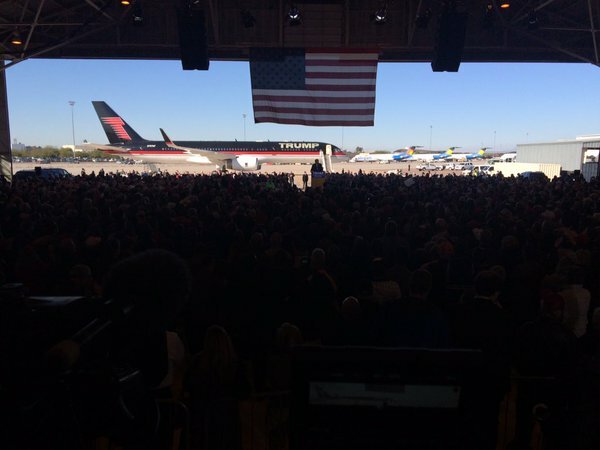 That east side is the home of Honda Aircraft and HAECO Americas, the biggest employers at the airport. To the north, FedEx Express employs about 500 people. HAECO, an aviation maintenance and overhaul company, is building a fifth hangar. After that is finished, the company will occupy 120 acres, with only about 20 acres left for expansion. Honda Aircraft occupies 130 acres, with 50 acres left for expansion. Because the airport owns and leases that land to those companies, it’s crucial to have more land available if those companies should want to expand further, Baker said. But in a competitive market, how many other companies seriously are looking for airport property? Christensen said that Honda has proven that companies are buying business jets. Honda Aircraft has spent the past 10 years developing and bringing to production its $4.5 million jet, which seats up to seven people. Honda employs more than 1,700 people, according to 2015 figures, in its research and development, maintenance and production operations at its PTI world headquarters. And, Christensen said, military aircraft companies and others are expanding their aerospace operations. In the future, he said, Greensboro may have its own specialized representative to meet with companies in the aerospace industry. Not all aerospace companies need an airport, of course. GE Honda Aero Engines, for example, makes engines for the HondaJet in Burlington, then trucks them to the manufacturing plant at the airport. But the airport already is benefiting from marquee names in aerospace. Such names as Honda, HAECO, FedEx Express — which operates an air cargo center — and Cessna — with a large service center — give the airport a high profile in the aerospace industry. “Those brands certainly speak volumes in the marketplace about our area of North Carolina,” Christensen said. Baker, already confident that this plan will succeed, is not one for self-congratulation. He said he is worried his supply of land will run out. He said it’s time to start searching for the next available land near the airport. The pilot reported that, during the landing flare in gusting wind conditions, as he “expected” to touch down, he reduced engine power. The airplane ballooned, followed by a hard landing and a bounce. During a subsequent second bounce, the nose gear collapsed. The airplane then veered left, exited the runway, and came to a stop nose down. The pilot reported there were no preaccident mechanical failures or malfunctions with the airframe or engine that would have precluded normal operation. The pilot landed on runway 23, and the reported the wind was 260° at 11 knots, gusting to 17 knots. The pilot’s improper landing flare in gusting wind conditions, which resulted in a hard landing and runway excursion. The pilot reported that during the landing flare in gusting wind conditions, as he "expected" to touch down he reduced engine power. He further reported that the airplane ballooned, followed by a hard landing and a bounce. During a subsequent second bounce, the nose gear collapsed. The airplane then veered left, exited the runway, and came to a stop nose down. The pilot reported there were no pre-accident mechanical failures or malfunctions with the airframe or engine that would have precluded normal operation. The pilot landed runway 23, and reported the wind as 260° at 11 knots, gusting to 17 knots. CHARLESTON, WV — Yeager Airport’s runway was temporarily closed for about an hour as crews responded to an incident during a landing Saturday afternoon. 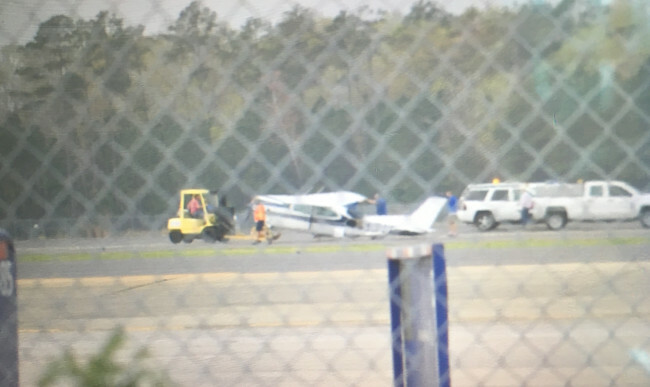 Just before 5 p.m. Saturday a Cessna 210 piloted by Charleston City Councilman Tom Lane was involved in the incident during a landing, according to a news release from Yeager Airport. A Charleston city councilman flew a plane that was involved in an incident at Yeager Airport, causing the runway to be shut down for about an hour Saturday. As Tom Lane was landing just before 5 p.m., the aircraft “went down on its nose,” said Yeager spokesman Mike Plants. Lane reportedly suffered no injuries. Plants said he couldn’t provide many details of the incident because, with all incidents, it would need to be investigated by the National Transportation Safety Board. Plants also said the weather was windy at the airport around the time of the incident. The private pilot was conducting a personal cross-country flight. 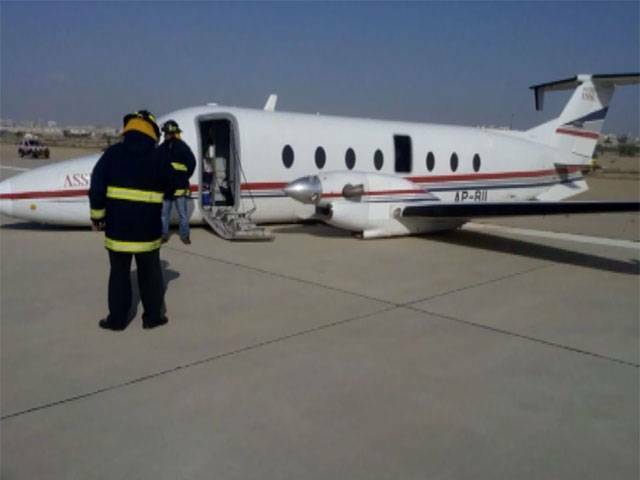 The pilot reported that, shortly after takeoff with the flaps and landing gear retracted, a total loss of electrical power occurred and that he immediately turned back to the departure airport. The landing gear, which is extended and retracted by hydraulic actuators powered by an electrically driven hydraulic power pack, was disabled due to the electrical failure, so the pilot attempted to manually pump the gear down via the emergency gear extension handle; however, after about 10 pumps, it felt like there was no hydraulic pressure in the system. He tried to pump the gear down for about 20 minutes before he realized that the main landing gear (MLG) was not going to extend, and he subsequently landed the airplane with the landing gear unlocked. The pilot said that the landing was smooth and that the MLG initially held the support of the airplane but that it then collapsed. The airplane then skidded to a stop on the runway. Examination of the engine revealed that the loss of electrical power resulted from the alternator’s primary wire being separated from its terminal due to corrosion. Examination of the airplane revealed that one of the MLG actuators had sustained impact damage and was leaking a small amount of hydraulic fluid. No other mechanical issues with the landing gear system were observed. The Pilot’s Operating Handbook recommends that the fluid level in the hydraulic power pack housed within the control pedestal be checked using the dipstick/filler cap every 25 hours and that, if the fluid level is at or below the ADD line on the dipstick, hydraulic fluid should be added. The hydraulic fluid level was examined several days after the accident, and it was observed at the ADD level. The pilot stated that he did not check the hydraulic fluid level before the accident flight but that he did check it the day before and that the level was “ok” at that time. However, given that the pilot was unable to manually extend the landing gear, there likely was insufficient hydraulic fluid in the system to provide the pressure required to manually extend the landing gear. The reason for the lack of hydraulic fluid could not be determined based on the available evidence. A complete loss of electrical power, which resulted from the separation of an alternator wire due to corrosion. Contributing to the accident was the failure of the emergency landing gear extension system due to a lack of hydraulic fluid, which resulted in insufficient pressure to extend the landing gear. On March 19, 2016, at 1050 eastern daylight time, a Cessna 210L, N59196, sustained substantial damage when the main landing gear collapsed during a precautionary landing at the Myrtle Beach International Airport (MYR), Myrtle Beach, South Carolina. The private pilot and the two passengers were not injured. The airplane was registered to a private corporation and operated by the pilot as a 14 Code of Federal Regulations Part 91 personal flight. Visual meteorological conditions existed at the airport at the time of the accident and an instrument flight rules flight plan was filed. The flight originated at MYR at 1001 and was destined for Hilton Head Island Airport (HXD), Hilton Head, South Carolina. The pilot stated that he performed a thorough preflight inspection and engine run-up utilizing the appropriate checklists before he departed and everything was normal. About 10 minutes after takeoff, with the landing gear and flaps fully retracted, the pilot noticed the airplane began to lose electrical power and contacted air traffic control to let them know he wanted to return to MYR. The pilot said he was cleared to return and shortly after he lost all electrical power. The adult passenger then called the control tower via a cell phone and was cleared to land. The landing gear, which is extended and retracted by hydraulic actuators powered by an electrically-driven hydraulic power pack, was disabled due to the electrical failure, so the pilot had to manually pump the gear down via the emergency gear-extension handle. The pilot said he attempted to pump the landing gear down, but the main landing gear would not fully extend. Only the nose wheel extended to what appeared to be the fully down and locked position. The pilot said it would normally require about 45-47 pumps of the emergency gear extension handle to fully extend the landing gear; however, after about 10 pumps, it felt as if there was no hydraulic pressure in the system and it "didn't seem normal." The pilot tried to pump the gear down for about 20 minutes before realizing he would have to land with unlocked landing gear. The pilot said the landing was smooth and the main landing gear held the support of the airplane for a while before they collapsed and the rear of the airplane bounced on the ground. The airplane skidded to a stop resulting in substantial damage to the left horizontal stabilizer. The belly of the fuselage, main landing gear, and left wing tip were also damaged. According to first responders, the left wing was leaking fuel and there was a small hydraulic leak coming from about 1-foot behind the nose wheel. A postaccident examination of the engine by a Federal Aviation Administration (FAA) inspector revealed the electrical failure was due to the alternator's primary wire being corroded and broken off of the terminal. A review of the maintenance logbooks revealed the last annual was completed in March 2015, at an engine total time of 1,015.5 hours. There were no entries that the alternator had been repaired in the last 12 months and the pilot reported no mechanical issues prior to the accident flight. A mechanic, who was on scene shortly after the landing and had recovered the airplane, stated that one of the main landing gear actuators had sustained impact damage and was leaking a small amount of hydraulic fluid. He did not observe any mechanical issues with the landing gear system other than the damaged actuator. The airplane's last annual inspection was completed in March 2015, at an airframe total time of 4,103.2 hours. There was a maintenance entry on November 12, 2015, for the hydraulic system accumulator and right main gear door actuator, which were removed and repaired. The landing gear was tested after the repair and a leak check was performed. The pilot said there were no issues with the landing gear hydraulics after the work was performed. He also stated that he did not test the emergency gear extension system after this repair and had not practiced any manual gear extensions in the airplane in several years. According to the airplane's pilot operating handbook, page 7-11, LANDING GEAR SYSTEM, "Hydraulic system fluid level may be checked by utilizing the dipstick/filler cap, on the power pack, behind a snap-out cover panel on the right side of the control pedestal. The system should be checked at 25-hour intervals. If the fluid level is at or below the ADD line on the dipstick, hydraulic fluid should be added." According to the FAA inspector, who checked the hydraulic fluid level several days after the accident, noted it was at the ADD level. The pilot stated that he did not check hydraulic fluid level before the accident flight but did check it the day before and the level was "ok."
The pilot held a commercial pilot certificate for airplane single-engine land, instrument airplane. His last FAA third-class medical was issued on March 15, 2016. The pilot reported a total of 1,149 total hours, of which, 327 hours were in the accident airplane. On March 19, 2016, at 1020 eastern daylight time, a Cessna 210L, N59196, sustained substantial damage when the main landing gear collapsed during a precautionary landing at the Myrtle Beach International Airport (MYR), Myrtle Beach, South Carolina. The private pilot and the two passengers were not injured. The airplane was registered to a private corporation and operated by the pilot as a 14 Code of Federal Regulations Part 91 personal flight. Visual meteorological conditions existed at the airport at the time of the accident and an instrument flight rules flight plan was filed. The flight originated at MYR at 1001 and was destined for Hilton Head Island airport (HXD), Hilton Head, South Carolina. The pilot stated that he performed a thorough preflight inspection and engine run-up utilizing the appropriate checklists before he departed and everything was normal. About 10 minutes after takeoff, with the landing gear and flaps fully retracted, the pilot noticed that he began to lose electrical power and contacted air traffic control to let them know that he had an alternator failure and wanted to return to MYR. The pilot said he was cleared to return to MYR and shortly after he turned back to the airport, he lost all electrical power. The adult passenger called the control tower via a cell phone, who in turn, cleared him to land. The pilot said he attempted to pump the landing gear down with the emergency gear extension handle, but the main landing gear would not fully extend. Only the nose wheel extended to what appeared to be the fully down and locked position. The pilot further described that it typically requred about 45-47 pumps of the emergency gear extension handle to move the gear into the down and locked position; however during the accident flight, after about 10 pumps he could sense there was no hydraulic pressure in the system and it "didn't seem normal." The pilot continued to try and pump the gear down for about 20 minutes before he realized that the main gear was not going to extend and he would have to land with unsecure landing gear. The pilot said that the landing was very smooth and the main landing gear held the support of the airplane for a while before they both collapsed. The airplane skidded to a stop resulting in substantial damage to the left wing and left horizontal stabilizer. The belly of the fuselage was also damaged and there was no damage to the propeller blades. 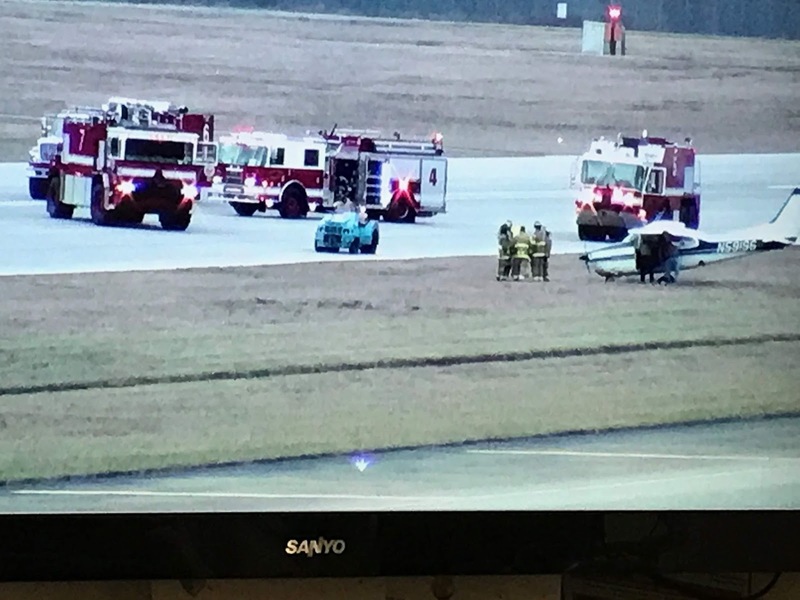 MYRTLE BEACH, SC (WBTW) A small aircraft made an emergency landing at the Myrtle Beach International Airport on Saturday. 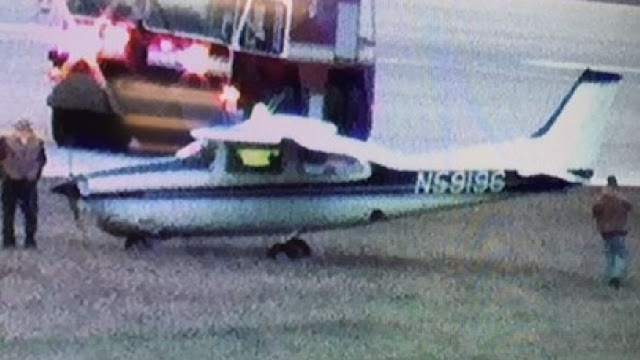 According to the Federal Aviation Administration, a Cessna C210 aircraft made an emergency landing on runway 18/36 around 10:50 a.m. Saturday. The aircraft had departed MYR and was headed to Hilton Head Island, but turned around when it experienced a problem with it’s alternator. The plane’s landing gear collapsed as it landed back at MYR. Airport Spokesman Kirk Lovell said three people were on board when the plane landed and they all deplaned. Their current conditions are unknown. Lovell said the FAA gave the approval for the plane to be removed from the runway. No takeoffs or landings were allowed while the plane was on the runway. Three flights were diverted, one to Wilmington International Airport, and two to Charleston International Airport. At least two flights were delayed from leaving MYR. The airport is back on a normal schedule as of 1:45 PM Saturday. A small aircraft made an emergency landing at the Myrtle Beach International Airport Saturday morning after the plane lost electrical power, Lt. Christian Sliker with Myrtle Beach Fire Rescue said. 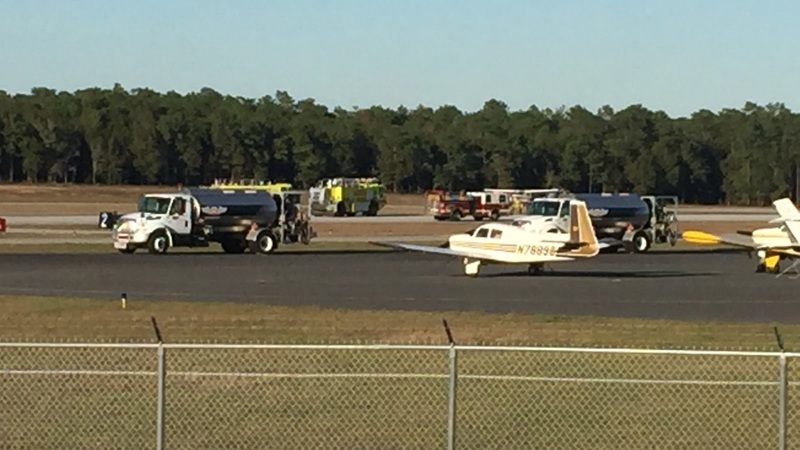 At about 10:30 a.m. the plane was about two mile from the MYR when it lost power and had to make an emergency landing and had to do so without its landing gear properly extended, officials said. EMS crews were on standby awaiting the plane’s arrival, and one Horry County Fire Rescue ambulance was on scene, along with jetport rescue crews. No information has been provided about who how many people were on board or if there were injuries. 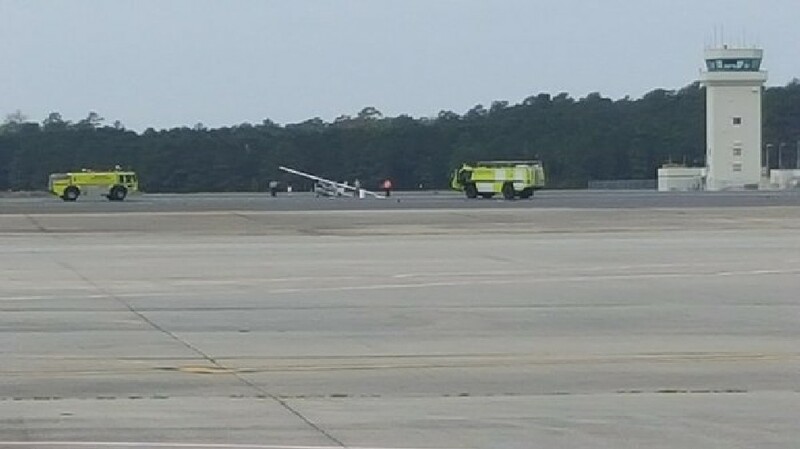 Myrtle Beach Fire Rescue Lt. Christian Sliker said a small aircraft had lost all electrical power a few miles out from Myrtle Beach International Airport Saturday morning. He said it landed just before 11:00 a.m. without the landing gear fully extended. As of 10:28 a.m. the plane was about two miles out from the airport and had lost all electrical power and was attempting to land at MYR. Sliker said it is not a commercial airplane. Emergency crews were on standby awaiting the plane's arrival. Sliker said after it landed the incident was handled by jetport fire rescue. There is no word on how many people were on board.